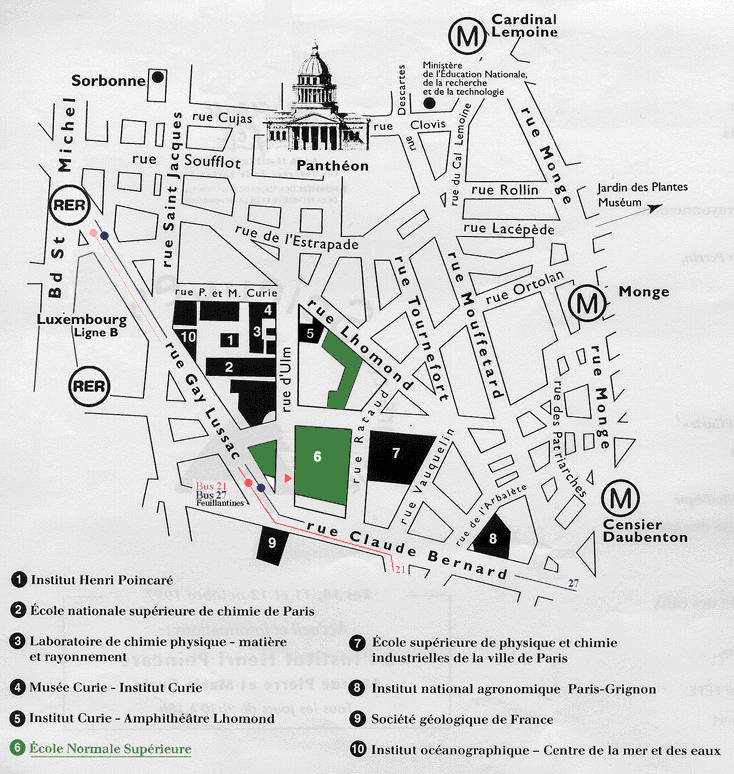 All Courses and Lectures take place at or around école normale supérieure 45 rue d'ulm. All Courses and Lectures take place at the école normale supérieure 45 rue d'ulm. For people who cannot attend Ealing after having registered, partial reimbursment of registration fees must be requested (for good cause) by email (to contact) and must reach us within a maximum of seven weeks after registration and no later than 15 days before the beginning of Ealing. Barring special circumstances, such requests will be honored. For people who cannot attend Ealing after having registered, partial reimbursment of registration fees must be requested (for good cause) by email (to contact) and must reach us within a maximum of seven weeks after registration and no later than 21 days before the beginning of Ealing. Barring special circumstances, such requests will be honored. Running Ealing costs money. Registration fees are used to help offset these costs. All Courses and Lectures take place at the école normale supérieure in the Salle Weil 45 rue d'ulm. All Courses and Lectures take place at the école normale supérieure in the Salle Weil 45 rue d'ulm). You can send us an email by clicking on: contact. This could change, watch this space for latest announcements. To get a certificate of attendance to an Ealing course, print this form: Attendance, fill it out and have it signed as instructed on the form. Reimbursement is done exclusively by crediting the credit card used to pay the registration fees. The amount reimbursed will be the registration amount paid minus the reimbursement processing fees charged to us by banking institutions. During Ealing hours, Wifi Internet access is provided in the lecture classroom. After hours, you need to go to an internet café (Cybercafé). Some coffee shops also have free internet access.